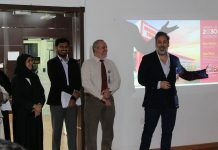 MBA Students in the Management Information Systems for Competitive Advantage (MIS) class at Alfaisal University have submitted nine abstracts to the EDULEARN12 conference in Barcelona, Spain. All nine were accepted. 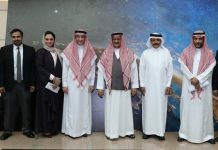 The group of students led by Dr. Ricardo Santa, simulated, with the use of state-of-the-art simulation software, different processes in Saudi Arabian industries in various sectors. The main idea of the projects was to find opportunities in Saudi industries for the implementation of continuous innovation principles. CLASSROOM ACTION LEARNING PROJECT FOR THE DESIGN OF THE SAUDI ARABIAN MEDICATION AND PRESCRIPTION DATABASE by: Abeer Al-Salem, Majd Al Yahya, Sarah Al Humaid. 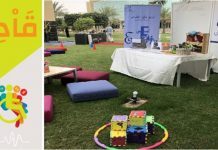 INNOVATION IN THE PRODUCTION OF DATES: A CLASSROOM ACTION LEARNING PROJECT by Alanoud Al-Kahtani, Halah Al-Shathry, Dalal Al-Abdulwahed, Nouf Al-Towairgi. 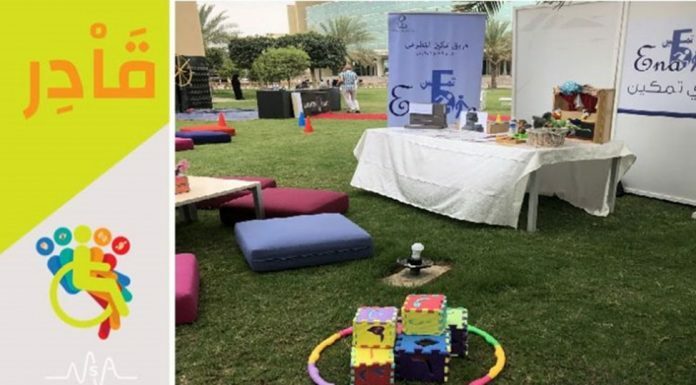 EXPERIENTIAL LEARNING: THE CASE OF USING SIMULATION TO MAXIMIZING THE UTILIZATION OF PUBLIC ASSETS IN THE MIDDLE EAST by Abdullah Al-Zamil, Adil Al-Rajab, Mazen Al-Jasser, Mustafa Al-Araj. This 100% acceptance demonstrates that the MBA Class Management of Information Systems for Competitive Advantage at the College of Business is aligned with the mission and vision of the University of being a research-focused University. 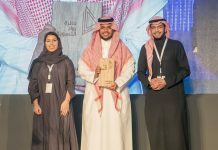 “We have succeeded in promoting not only the name of Alfaisal University but also the Kingdom of Saudi Arabia in the arena of academic learning and innovation in industry. This outstanding outcome demonstrates the high quality of research we are conducting at the College of Business at Alfaisal”, stated Dr. Ricardo Santa. The conference will place in Barcelona, from 2-4 July 2012. 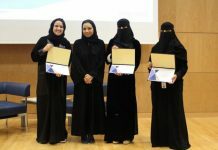 For more information visit http://iated.org/edulearn12/ Please join us in congratulating our students!